Members may login to view the issue PDF. This edition of 1775 is dedicated to the Heart of the AG Corps. COL Jack L. Usrey, Chief of the AG Corps, approached me as Editor and told me of a career counseling session he gave an AG CPT who is a naturalized US citizen from Sudan. This CPT endured horrific heartache with the loss of Family members trying to flee war torn Sudan. Through determination and heartfelt effort, this CPT truly overcame hardship, earned the right to become a US citizen, and today is an outstanding AG officer and Army HR Professional. Hearing of this CPT’s courageous story, we put out a call for similar accounts to support this edition’s theme. As a Corps, enabling Commanders and supporting Soldiers and their Families is indeed at the heart of what we do on a daily basis. For this edition we wanted to hear from AG Soldiers and Civilian HR Professionals regarding compassionate articles that truly touch the lives and make a difference for the Army-wide clientele we support. Additionally, we wanted to hear personal stories of sacrifice, commitment and endurance to become an AG Soldier and Civilian HR Professional. 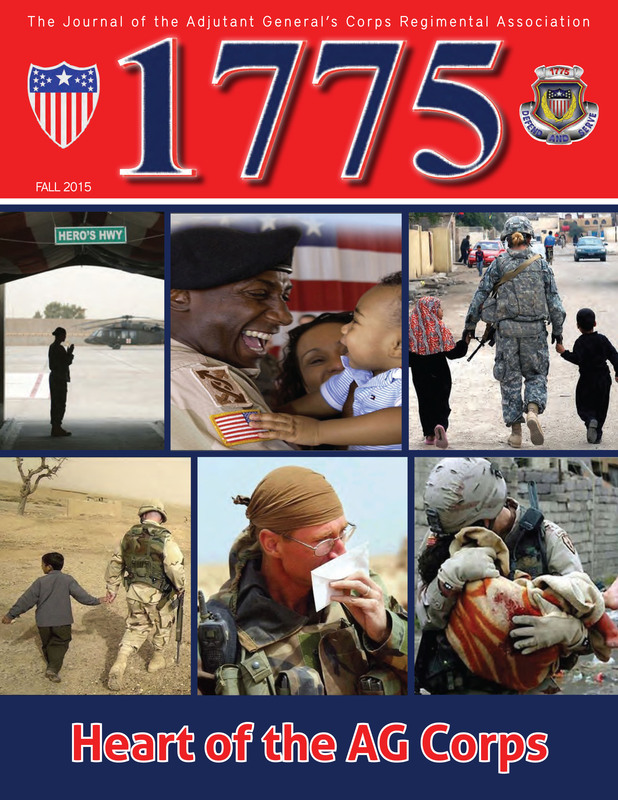 We hope you enjoy this edition of 1775 and we welcome your feedback by e-mailing comments to magazine@agcra.com.